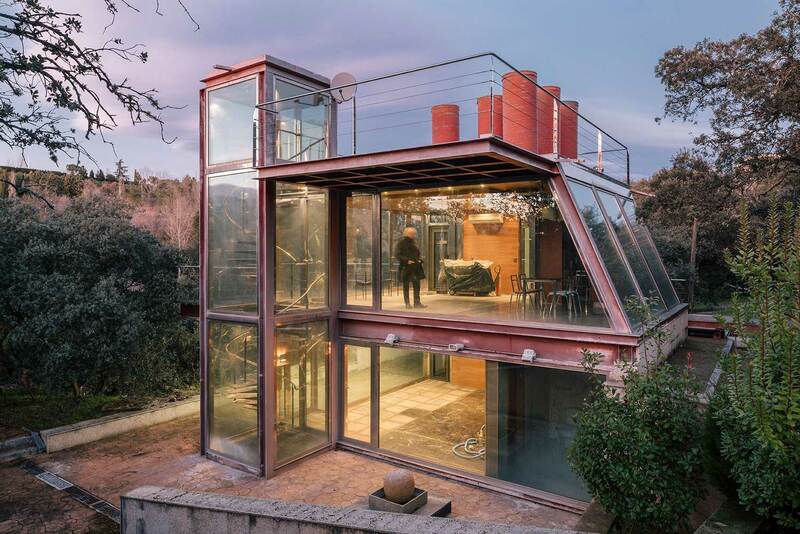 The Hidden Pavilion in Madrid, Spain by Penelas Architects. 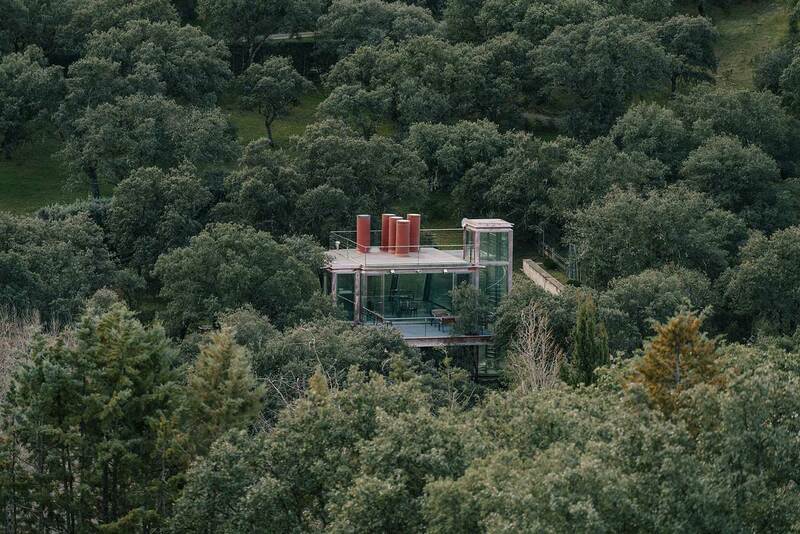 Peeking through the dense forest in the outskirts of Madrid is Hidden Pavilion by Penelas Architects. 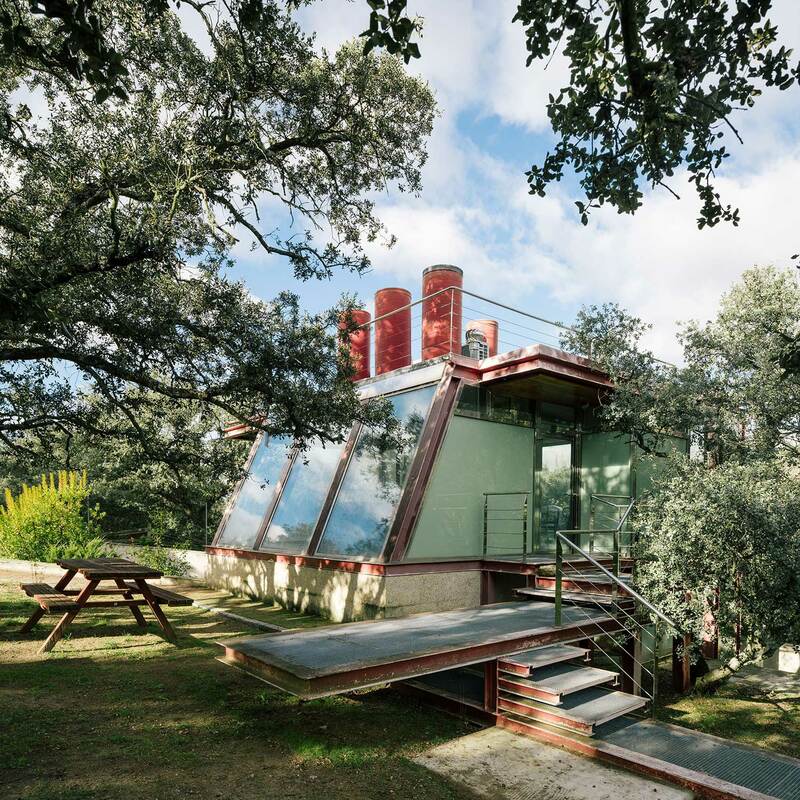 Its rusted steel structure and red protruding lightwells may be distinguishable from the greenery, but the small dwelling is otherwise embedded within its surrounds. 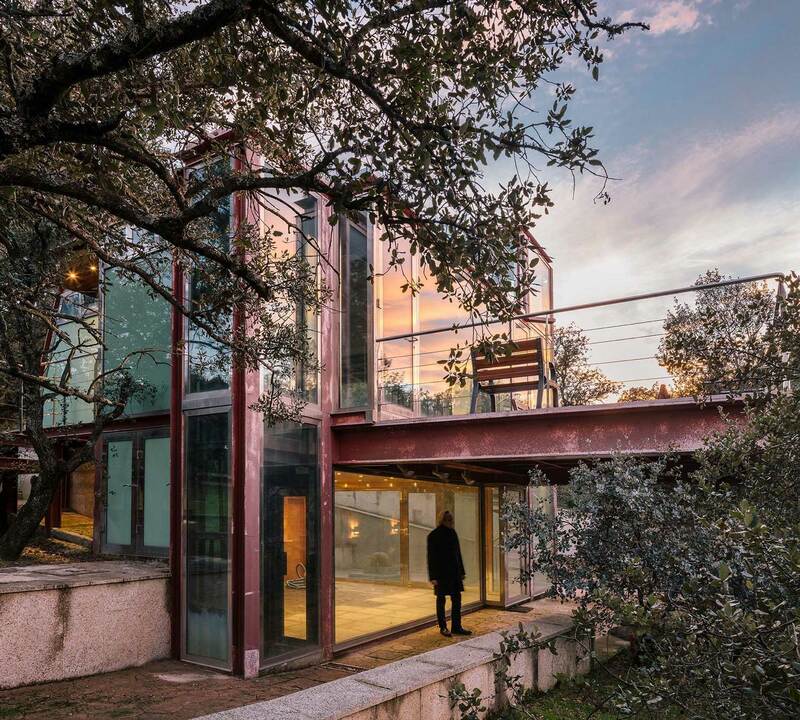 Built in a glade and over a small waterfall, the pavilion not only interacts with nature, but is completely entwined with it. 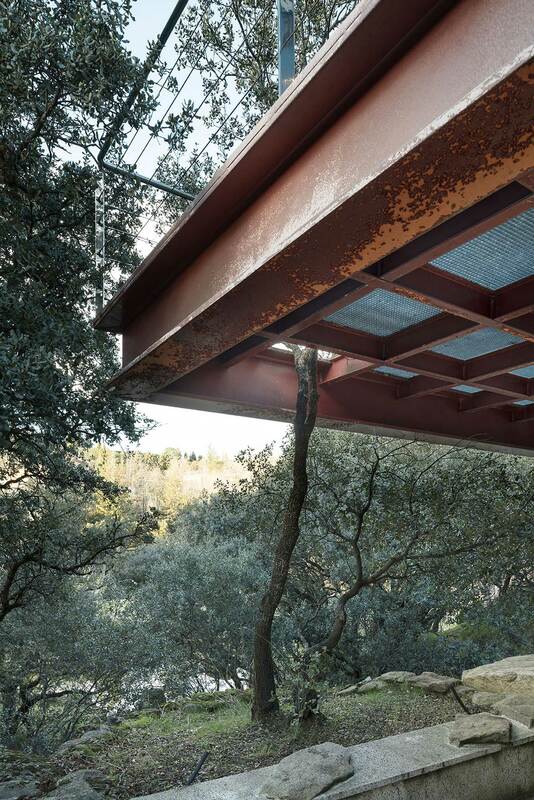 The pavilion is conscious of growing trees, allowing them to “pass through its terraces and cantilevers by gaps built for them.” The form of the building is equally responsive with the upper level glazing inclined to allow for the growth of a 200 year old holm oak tree. 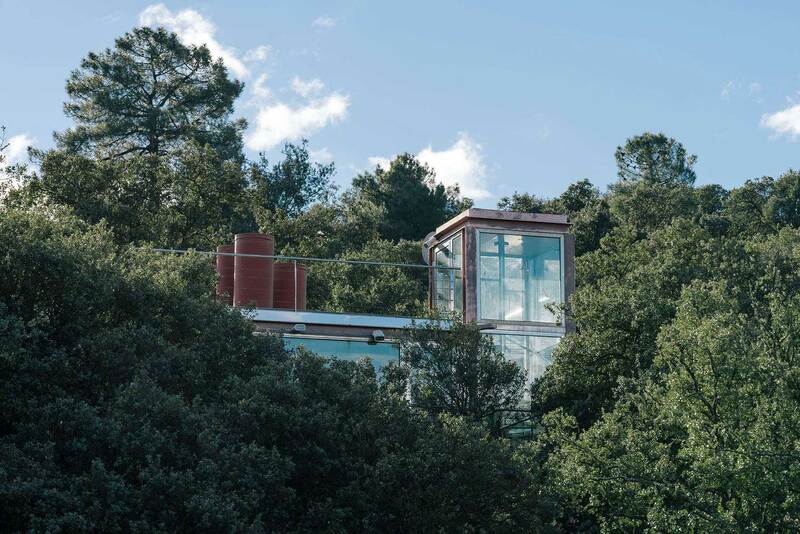 The architects and residents wanted to protect the mature holm oak tree but also acknowledged that it blocked a significant amount of light. 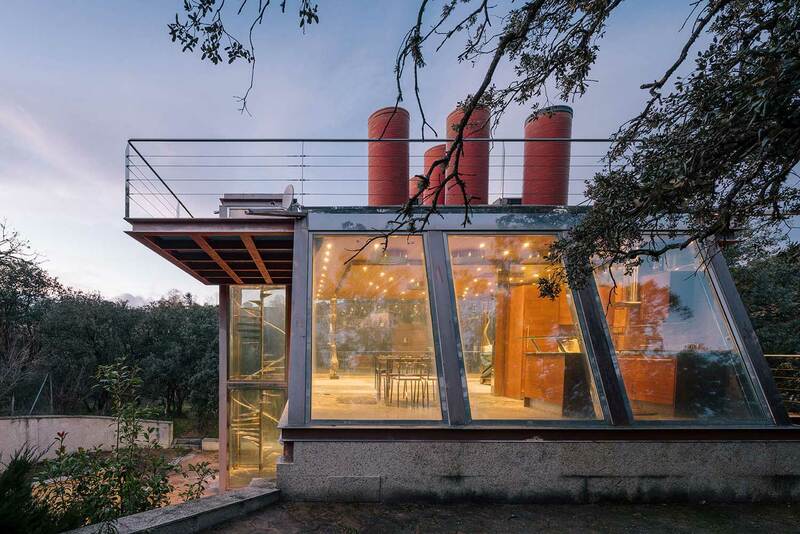 As a solution, five red cylindrical light wells were built on the roof terrace to funnel light into the interior spaces. 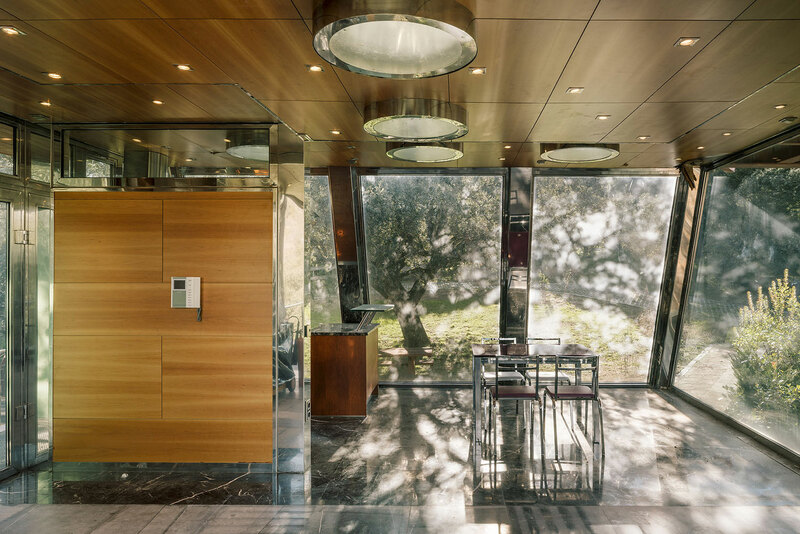 They aid in naturally illuminating the communal spaces such as the kitchen, living and dining area. 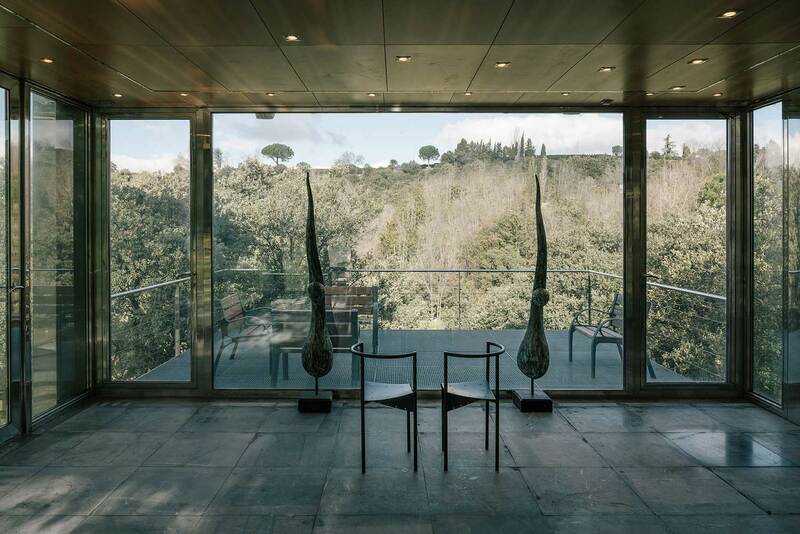 Slightly eerie and unsympathetic, the interior of the pavilion could readily be used as the set of an arthouse film. 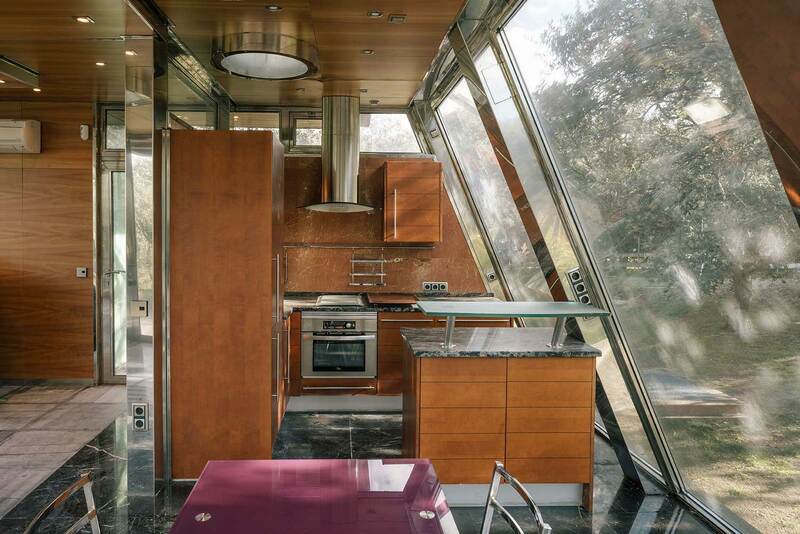 Cherry wood finishes are used throughout to compliment and soften the steel, glazing and dark tiles. 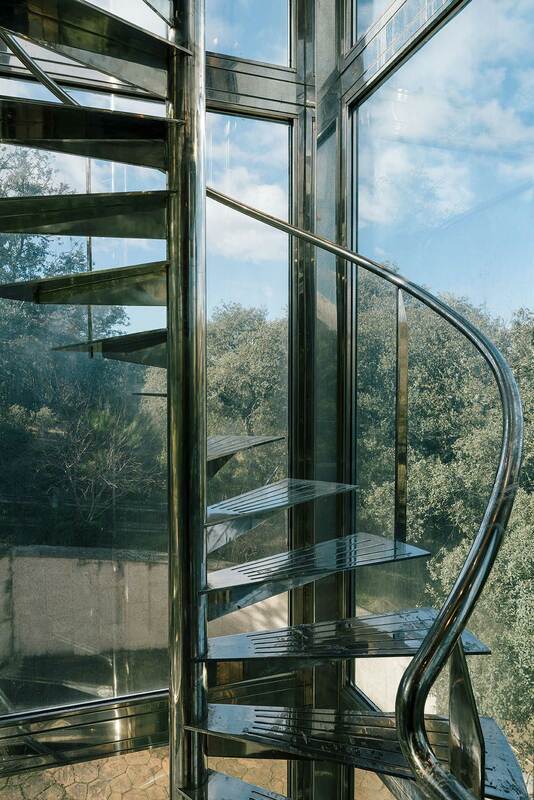 A metal staircase spirals up through a glass tower connecting the two floors of the house. 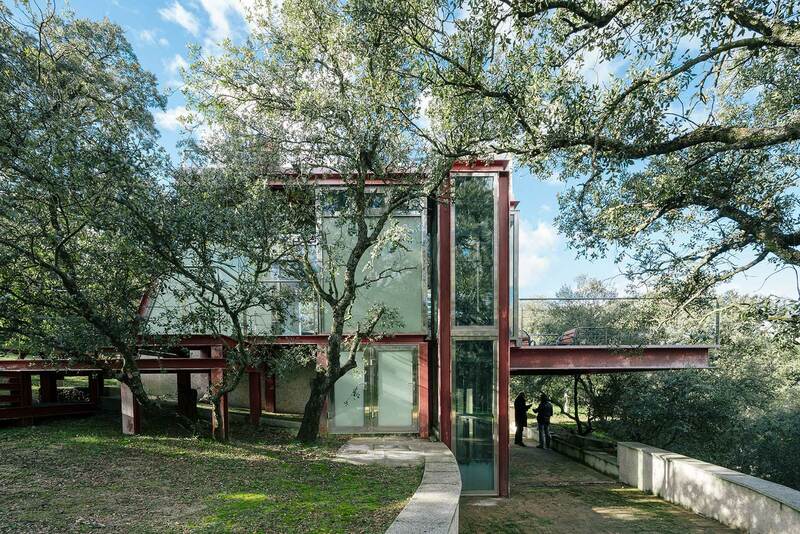 This leads to the roof top terrace which cantilevers from one side of the house. 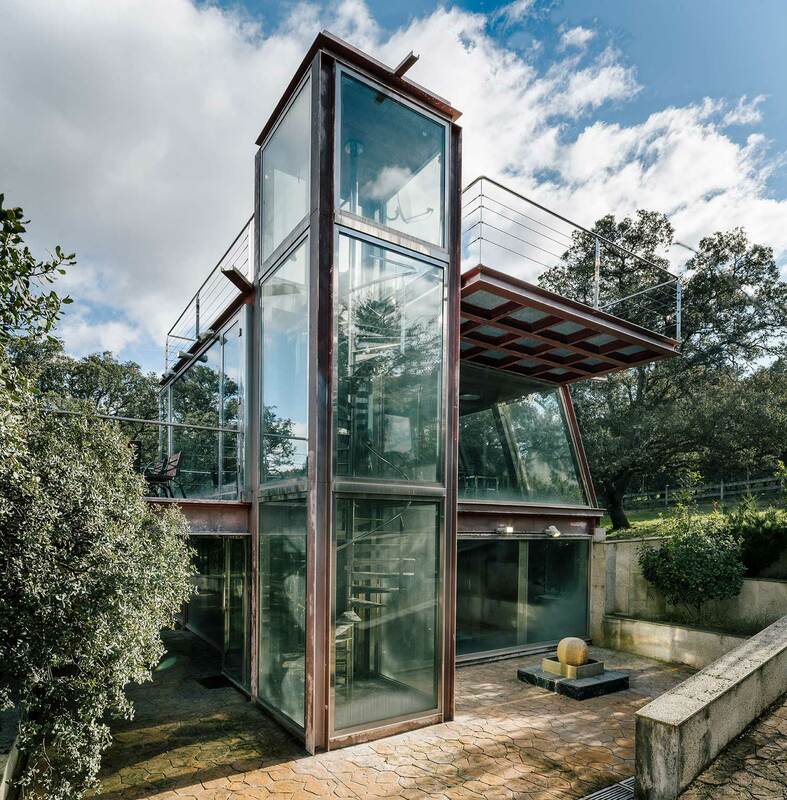 Related Post: Translucent Buildings Made of Glass. 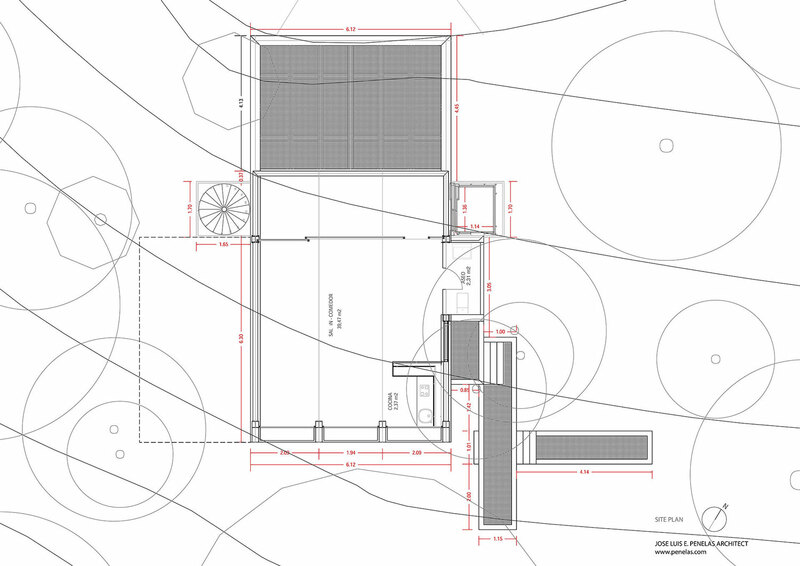 Minimally furnished, the clients use the house for meditation, retreat and a place to think. 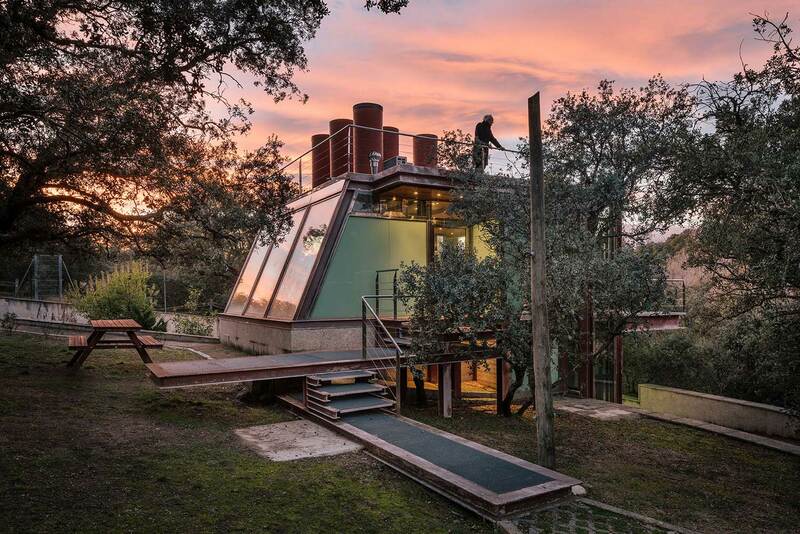 Although it is unembellished, the building form, composition and surrounding views are certainly thought provoking. 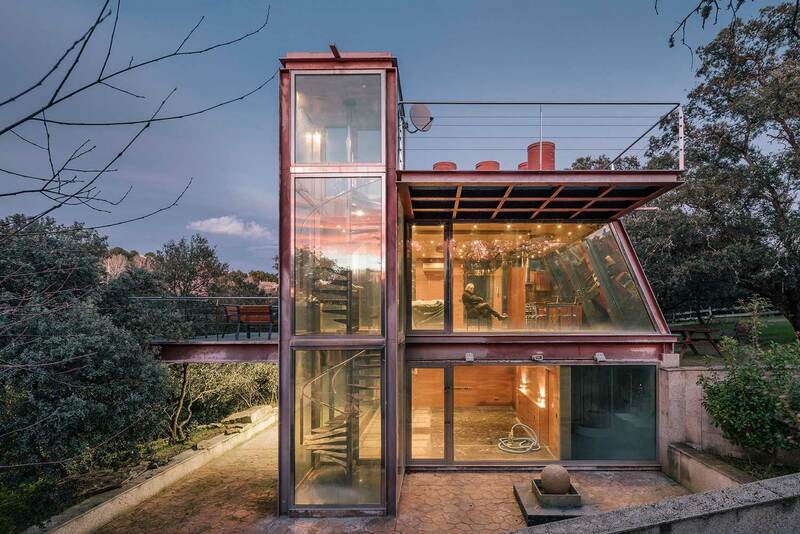 The dense forest and rural location provide the residents with ample privacy, while the expanses of glazing set within the building’s exposed red steel structure allow for incredible views from every room. 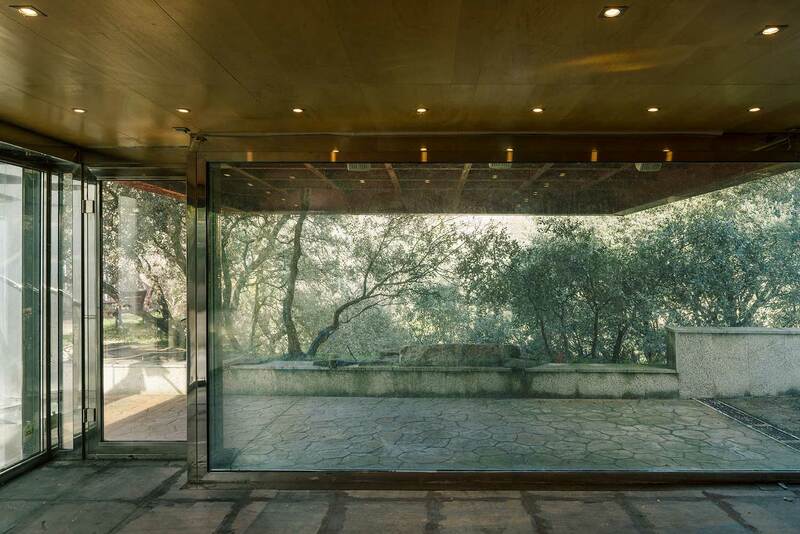 Hidden pavilion centres on bringing nature inside and achieves this with an earnest and responsive scheme. 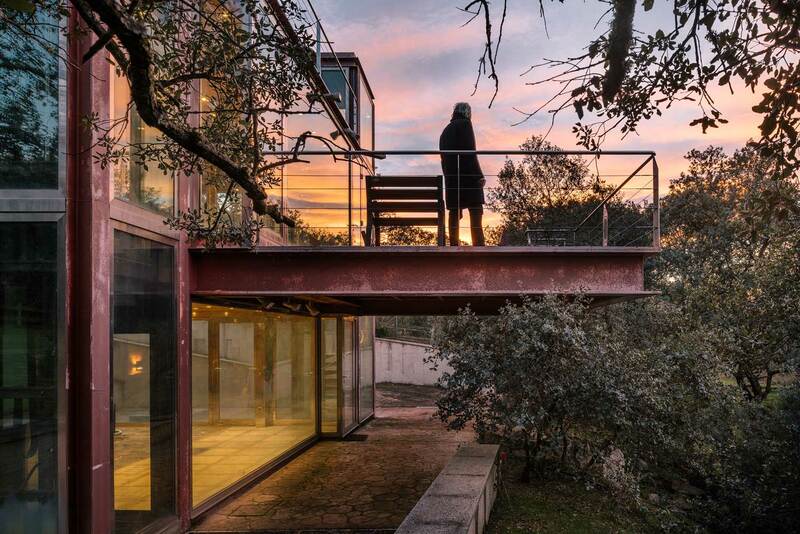 According to the architects, “the passing of the seasons generates new senses and emotions within the design.” It’s certainly not hard to imagine that this would be the perfect place for stillness, silence and peace. 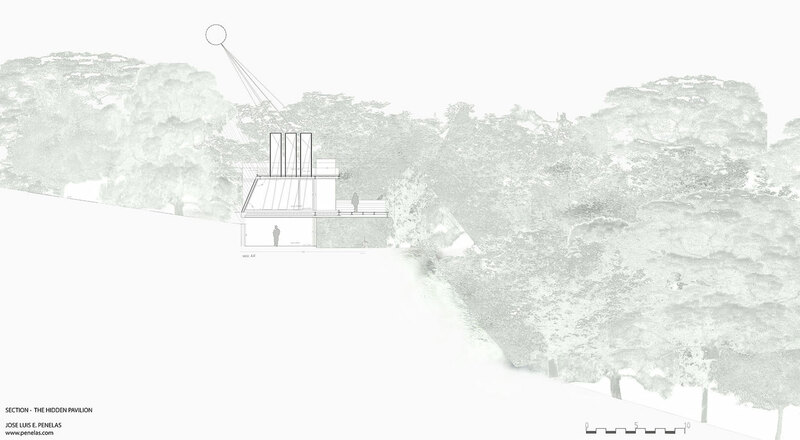 The Mirror of Our Nature: Immersive Multimedia Installation at the 70th Cannes Film Festival. 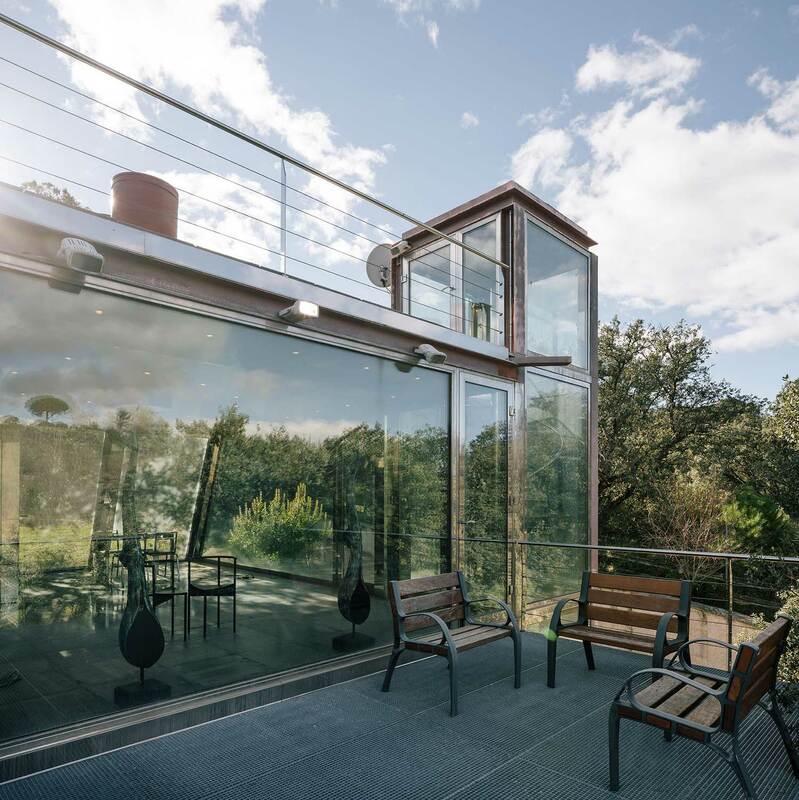 Introducing Trace Outdoor Collection by Adam Goodrum for Tait.